A 45-year-old San Pedro man was sentenced today to three years of probation for threatening to kill Rep. Maxine Waters, (D-Los Angeles), over comments she made about President Donald Trump. The judge also ordered Lloyd not to have any contact with Waters – by any means. “Public officials have to feel safe and secure in making decisions... and cannot be (made to) feel insecure in their judgments,” Wilson said from the bench. 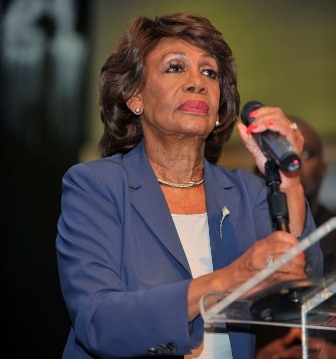 In a letter filed with the court prior to sentencing, Waters said that while she appreciates that Lloyd pleaded guilty and ex­pressed remorse, a lenient sentence would “only embolden others to engage in similar conduct.” Lloyd should “be held accountable for his actions in a manner extending beyond probation,” the congresswoman wrote. “If you continue to make threats toward the president, you’re going to wind up dead, Maxine, 'cause we'll kill you,” Lloyd said in a voicemail. He also used a racial slur — the N-word — to refer to Waters and an anti-gay slur in the message, according to Assistant U.S. Attorney Jake Nare, who read Lloyd’s voicemail message to the court during the April guilty plea hearing in downtown Los Angeles. After the message was received, one of Waters’ staff members contacted the U.S. Capitol Police, which notified the FBI. Lloyd, who lives with his ­grandmother, identified himself as a “pro-president supporter” during the interview, court papers show. Lloyd’s attorney, Jerod Gunsberg, told the court that his client’s racist tirade arose from watching news coverage containing comments about the president made by Waters during a political rally. Lloyd, the attorney said, “was positive she was calling for the assassination” of Trump. Gunsberg wrote in court papers that Lloyd's behavior was an isolated incident stemming from “untreated mental illness and substance abuse.” The attorney told the judge that Lloyd was in treatment for drug addiction and had no intention of harming the congresswoman. “He is committed to sobriety,” Gunsberg told the court.